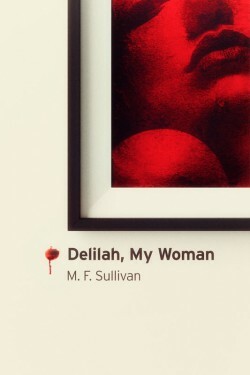 Suffer the sensual suspense of a serial killer love story: depraved artist Richard Vasko finds he must choose between his codependent wife, his wicked older mistress, and his compulsion to immortalize them both in paintings of human blood. 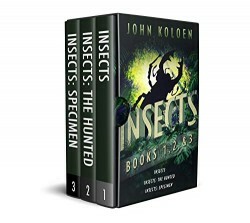 A must-read for fans of Bret Easton Ellis, Chuck Palahniuk, and Vladimir Nabokov. It’s a battle for dominance in the South China Sea—and Pat Walsh takes on his most daring operation yet. Tensions between China and the United States near the breaking point. The Chinese Navy has flexed its muscle in a series of unprovoked strikes against U.S. military air patrols, and the time has come to end their global advance. Under the guise of treasure hunters, Pat Walsh and his team of CIA mercenaries conduct a series of deep-water dives to plant explosives along a fault line in the Palawan Trench. The resulting tsunami will take out the airfields along the reef islands and cripple the Chinese menace. But Pat never accounted for finding millions in sunken pirate treasure—or that someone would discover the true catalyst behind the devastation. Now he must keep an ancient treasure out of enemy hands and find a way to survive a Chinese government bent on revenge. 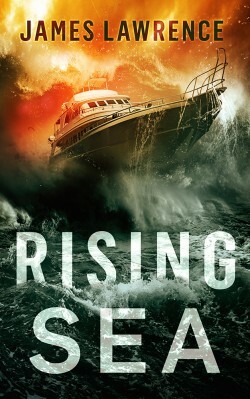 Read this standalone adventure thriller of non-stop sea action that spans Southeast Asia, the Middle East, the Caribbean, and Europe. A livewire set of thrillers for fans of Crichton, King and Cussler. Yoshi and Gatsby are two felines known as the Petectives. When they agree to help a pretty young cat find her missing brother, a routine pet investigation goes sour faster than a bowl of milk. To solve the mystery, the cat detectives must face down a gang of vicious criminal pit bulls and the neighborhood dog police. While Gatsby’s up to his whiskers in danger and romance, Yoshi puts together the pieces of a puzzle that could rock their community. With enemies at every turn, can Yoshi and Gatsby find the missing cat and shut down a dog fighting operation in time? It’s all in a night’s work for the Petectives! 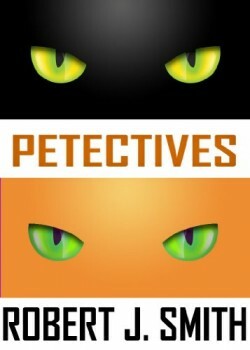 Petectives is the first book in an animal mystery series that features saucy banter, adventurous animals, and charming dialogue. If you love mysteries or books with animals as the lead characters, then you’ll love the light-hearted dip into a world of cat detectives. Buy the book today to find the real culprit in this humorous whodunnit! A film shoot in Paris… What could possibly go wrong? For Ava Sext, a transplanted Londoner who sells books from an outdoor stand that overlooks the Seine River, an early morning knock on her door leads to a job on a film shoot. Her film career gets off to a roaring start when a dead man is found on the set on her first day on the job. With the help of her fellow bookseller, Henri DeAth, a former notary in a country where notaries are a powerful caste who not only know where the bodies are buried but helped bury them, Ava investigates the strange goings-on in the production while rekindling a relationship with the film’s producer, an old flame who may or may not be the killer. 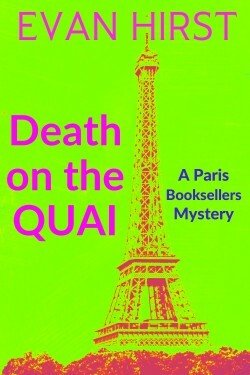 “Death on the Quai” is a light-hearted cozy mystery set in Paris, a city where food, wine and crime make life worth living… along with a few books & Mercury, the cat. Books in the Paris Booksellers Mystery series can be read in any order as each book is a stand-alone mystery in a series with recurring characters.